In a world full of harmful pesticides how can the local gardener grow the plants they need and keep the bugs away too? Luckily for us, there are many alternatives that you can use in your garden to keep away the bugs that may eat your plants. The one that we recommend is a homemade garden bug spray that will keep the bugs away without harming your plants. This recipe was originally from Keeper of the Home by Jami from An Oregon Cottage and is a recipe that you will want to save for years to come. Garlic is a cheap, natural, and non-toxic pesticide that naturally keeps away bugs in your garden. Since plants have evolved for millions of years they have had to develop their own natural defense against bugs, bacteria, and even fungus. To help the garlic work stay away from any kind of chemical fertilizer. The chemicals will actually deplete the garlic making it hard to do its job and keep bugs away from your plants. 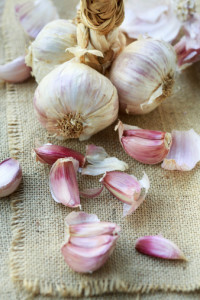 You can also plant some garlic in your garden to keep away termites, white flies, belts, aphids, ants, caterpillars, army worms, beetles, and slugs. Almost everything from the Mint family such as lemon balm, mint, and peppermint are great for keeping bugs out of your garden. These plants will run the ground of your garden and won’t struggle with less sunlight. Just make sure they have enough water and you can enjoy the natural defense of this plant while also having some awesome healing herbs for your kitchen. These natural insect deterring plants have many uses in and out of the home. 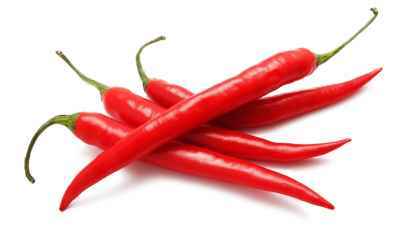 Grow some red cayenne pepper to spice up your food and to help keep the bugs away. What is great about this plant is it is also good for keeping away the animal critters that want to munch on or trample your garden. You can even put some cayenne in a spray bottle and put it around your garden to keep the bugs and pests out! 1. Put the mint and garlic in a food processor and pulse for several seconds. 2. 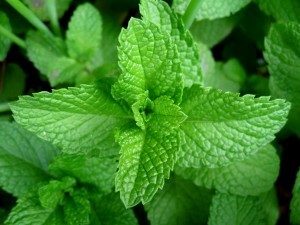 Then move the garlic-mint mixture into a pot with 2.8 liters or 12 cups or water. 5. Strain into glass spray bottles (or your garden sprayer) and then add the 2 small jets of dish soap, and shake it all up. Shake up the mixture before you. Use it when there is a cloudy day, late a night, or early in the morning so the moisture doesn’t fry your plants in the sun. Spray any leave that you see that bugs have been eating. Spray the top and bottom of the leaves. Wait a few days and then try it again if the problem still persists. There should be a big difference after just one application of the mixture.